If you are fortunate enough to have your own little (or big) slice of recreational property in our Central Wisconsin service area then you probably already have plans to build your own little private retreat. Abel Complete Construction LLC is a full service general contractor who specializes in building cabins and cottages on our customers recreational properties. Owning your own piece of recreational land in Central Wisconsin opens up many new doors in your life when it comes to your enjoyment and relaxation. Having the freedom to design and then build your own private retreat is surely something for many people to envy. However, you might not be looking to build a luxurious 5000 sq/ft custom log cabin, but rather a much more cozy 1500 sq/ft rancher style rustic cabin or a maybe it’s a cute little cottage on your lakefront property for you and your family to enjoy on the weekends or during the summer. Whatever your reason for wanting to build a cabin or cottage in Central Wisconsin, Abel Complete Construction can help you make that dream a reality. 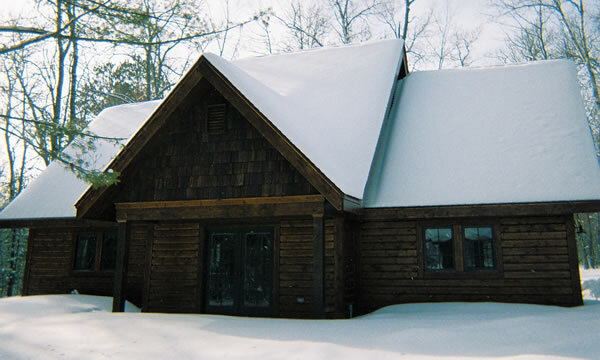 Abel Complete has been working local and long distance clients to plan and build their cabins, cottages, and lakefront homes within Central Wisconsin for the last 15 years. Before purchasing your recreational property in Central Wisconsin to build your cottage or cabin give Abel Complete Construction a call and let us come out and offer you our knowledge and expertise. Let us show you why we’re one of the most sought after home building contractors in our area. You won’t be dissapointed.